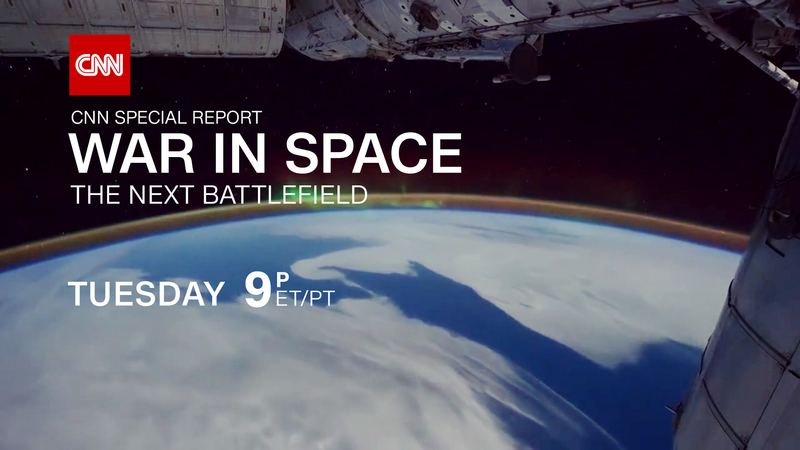 WASHINGTON, D.C. – Nov. 28, 2016 – CNN will air War in Space: The Next Battlefield – an in-depth CNN Special Report on the arms race in outer space – at 9 p.m. EST on Tuesday, Nov. 29. The one-hour documentary explores the belief by many in the military and civilian experts that war in space is inevitable. The American way of life depends on satellites in space, such as daily commutes, to withdrawing money from a bank, to the soldiers and intelligence agencies defending the U.S. abroad and at home. U.S. adversaries, like China and Russia, are pushing an arms race in space, taking aim at America with a dizzying array of weapons seemingly borrowed from science fiction, from lasers to kamikaze and kidnapper satellites. With rare access to classified U.S. military command and operations centers, CNN showcases the devastation that would be caused by space warfare and how the U.S. military is preparing for the alarming prospect. CNN’s chief national security correspondent Jim Sciutto interviewed more than 10 national security, defense and high-ranking military personnel for the documentary including the entire chain of command for space warfare – Robert Work, Deputy Secretary of Defense; General John Hyten, then-commander of Air Force Space Command and current commander of U.S. Strategic Command; Admiral Cecil Haney (Ret. ), former commander of U.S. Strategic Command; Lieutenant General David Buck, commander of the Joint Functional Component Command for Space; and the first interview with Defensive Duty Officer, 1st Lieutenant Andrew Engle, a newly created position to monitor threats in space. CNN was also the first network to have access inside the Advanced Missile Warning and Battlespace Awareness Operations Floor at Buckley Air Force Base and Lockheed Martin’s facility where it is building the next generation satellite, the GPS III. The special report will also be available On Demand the day after the linear premiere on cable VOD and on CNNgo via iPad, Roku, AppleTV, Amazon Fire, and desktop at www.cnn.com/go. War in Space: The Next Battlefield is reported by Chief National Security Correspondent Jim Sciutto, senior produced by Ken Shiffman, and produced by Jennifer Rizzo. The executive producer is Jennifer Hyde.